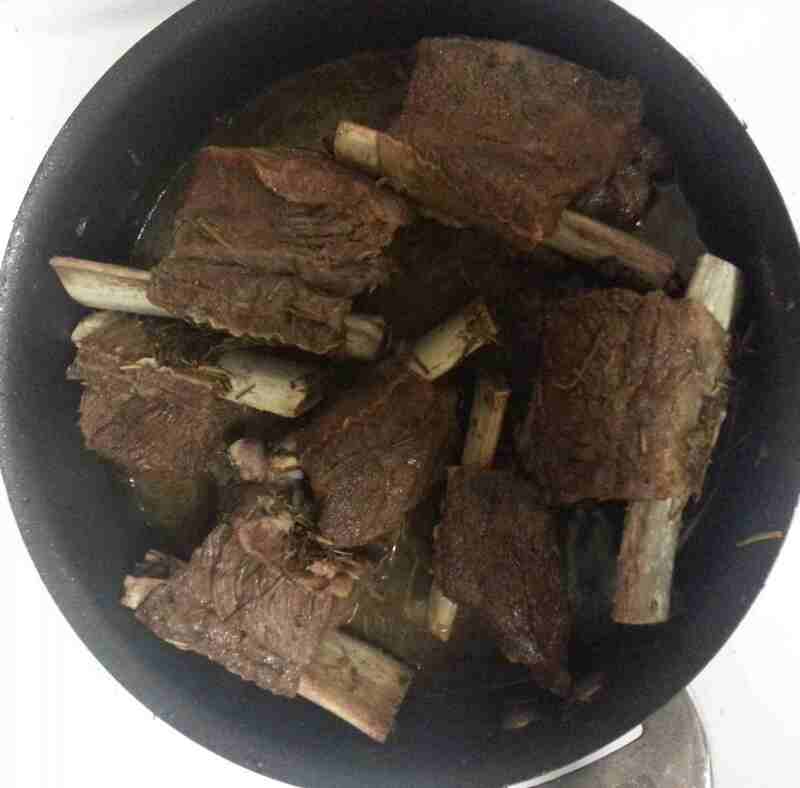 Did any of you have a chance to try the Rum Braised Beef Short Ribs “What’s For Dinner?” post a few days ago? If not, take a look at the picture above. It looks pretty good, right? Well, it actually came out better than it looks there! Here is what I did, some of it slightly different than the original post: Spicing the Beef, I used the same sea salt and fresh ground pepper, of course. But instead of turmeric (which works well for this dish) I decided to cook it on a lower heat setting for longer, and I used rosemary. The thing about rosemary as a spice for a dish like this is that it doesn’t translate to the meat – so you won’t end up tasting it at all. 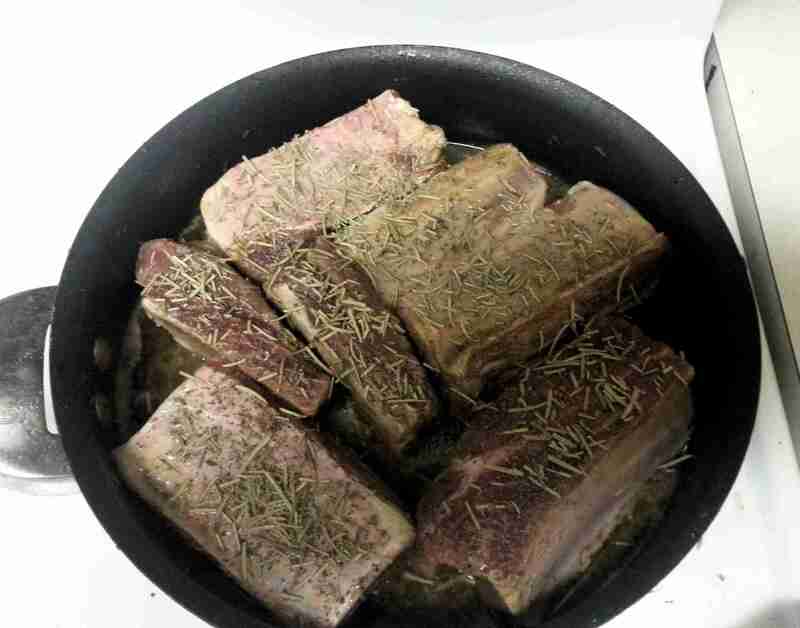 The reason to use rosemary in a really strong dish is for the smell: Rosemary permeates the air while you’re cooking, and it can be really excellent for boosting appetite pre-meal. So the house was filled with the smell of rosemary while I was cooking. It was a great smell! 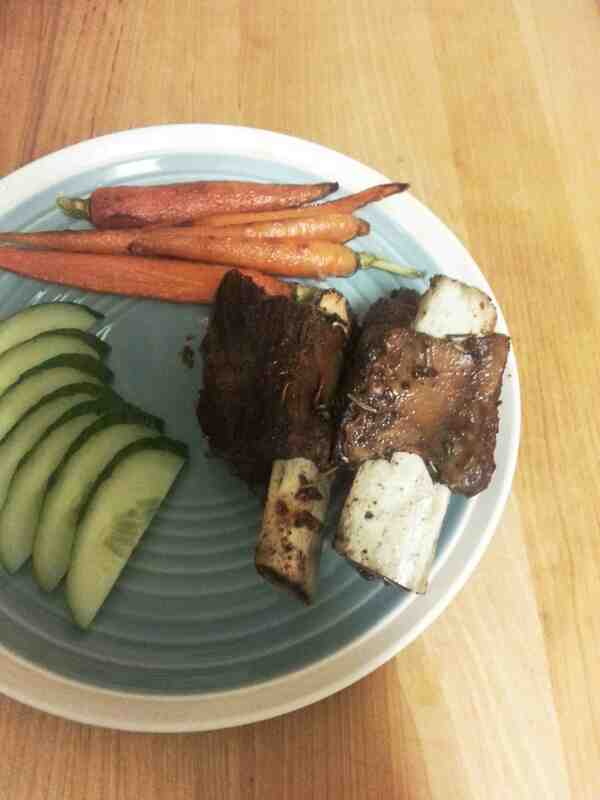 On the side, I decided to go with sliced cucumbers and coconut oil toasted carrots instead of the smokey side salad. 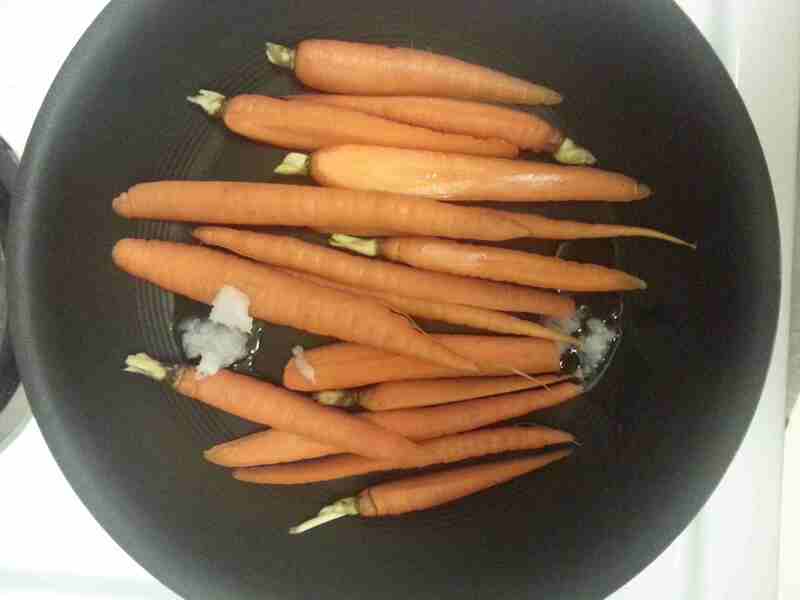 The coconut oil and toasting for the carrots ends up bringing out the sweetness of the carrots, and it’s delicious. 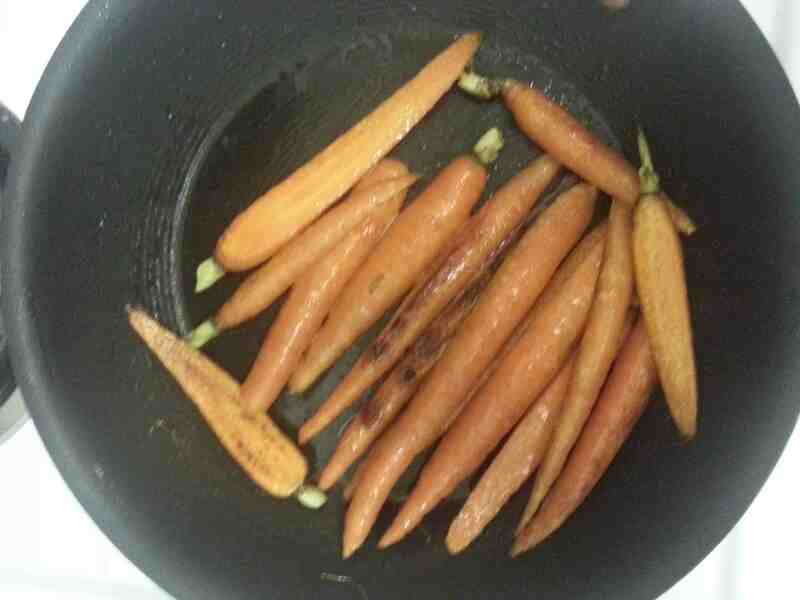 Unlike previous toasted carrots, this time I didn’t use any spices.